As we look back on 2017, we are grateful to be a part of such a wonderful and generous community. Because of your support, we have been able to grow our programs and increase the amount of people we serve. 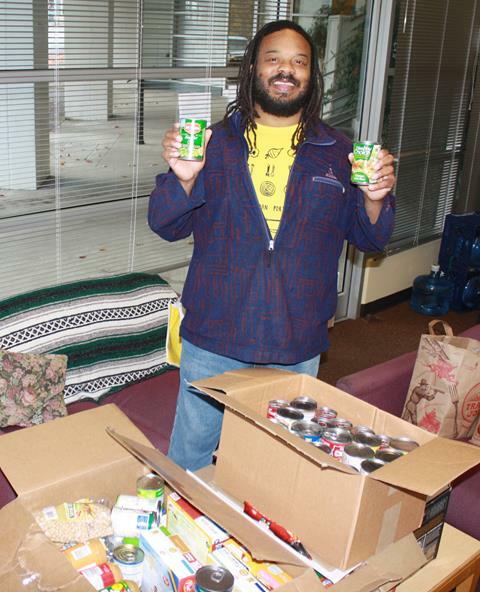 Our pantry served 1,000 more neighbors than it did last year! From everyone at Lift Urban Portland, we wish you a happy and healthy new year! Seven years ago, Kat lost her foot, her husband, and her sense of stability. While in the hospital to have her foot surgically removed, her husband died of a heart attack. 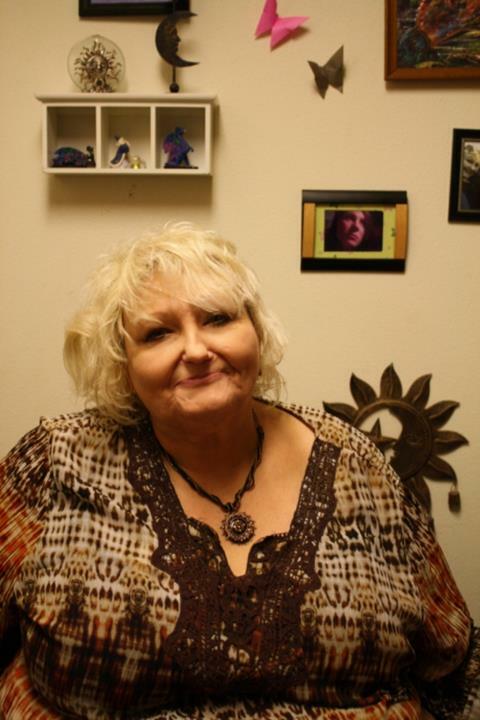 By the time she returned to their home, she was disabled, heartbroken, and feeling suicidal. Living on $210 a month, her Delivered Food Box is critical. It's vegetables to combat pre-diabetes. It’s friendly, caring volunteers who brighten her day. Help keep neighbors, like Kat, fed. If you haven't already, please consider making a donation. Just $25 ensures Kat has food for the month. "Every year I look forward to bringing smiles to people's faces." 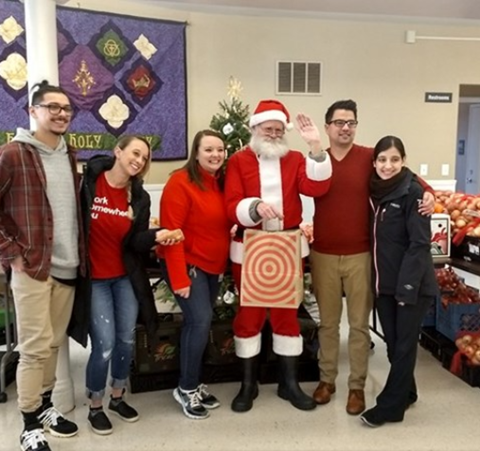 Santa joined us this month at Harvest Share, to hand out goody bags and hand written holiday cards! Our volunteers from Target had a busy day, serving over 70 people and distributing 2755 pounds of food! "Lift UP's unique approach to fighting hunger through partnerships with low-income buildings is vital to maintaining health and housing for our most vulnerable neighbors "
Our new Community Outreach Manager, Madi, isn't new to food access work. 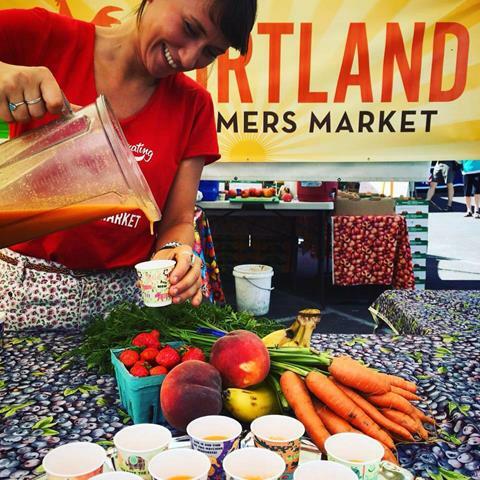 She spent the previous year running a food pantry and SUN site at Centennial High School, after years working with the Portland Farmers Market and Zenger Farm. She graduated from the University of Washington with a Double Major in Anthropology and Human Rights, with an emphasis on Food Systems and Policy. When not at work, you'll find Madi at the farmers market or escaping to the coast. We are excited to have Madi on board! In Need of Food Box Delivery Drivers!